How Often Should I Change Guitar Strings? Those of us who’ve been playing guitar for at least a few years… we just know when it’s time to change our guitar strings. We can feel it and we can hear it, and it’s blatantly obvious to us. However, the signs and symptoms that we experienced players recognize are not at all obvious to beginners, no matter how hard we might try to describe them. So if you’re a new guitar owner wondering how often you should change your guitar strings, I’m going to instead give you some basic timeframes to follow. That’ll serve you well until you gain the experience you’ll need to better judge, based on sound and feel, when it’s time to change your strings. I’ve met a number of guitarists over the years who have a sweat chemistry that just annihilates guitar strings. It’s like their superpower: within hours or days of installing a brand new set, their strings become severely corroded, even if they’re diligent about wiping their strings after they’re done playing. If you’re one of these people, you’re not abnormal. It simply means your guitar string bill is going to be higher than it is for us mere mortals. It also means the timeframes I’m going to outline in this article don’t quite apply to you. A number of corrosive sweaters have told me that coated strings, combined with wiping their strings after every play session with a string cleaner like GHS Fast Fret or plain mineral oil, has really helped them squeeze more life out of their strings. There are other coated guitar strings out there in addition to the ones I’ve listed here, so search around a bit and find the brand you like best. Okay, for the rest of us who have a less corrosive body chemistry, I’m going to lay out some general guidelines and timeframes for how often you should change your guitar strings. Note: these timeframes apply to regular (uncoated) guitar strings. You really only pull the guitar out of its case a few times a year–maybe at a rare family holiday. Or, maybe you’re a collector of high-end/rare/vintage guitars that you rarely play. You might spend 5 – 10 minutes strumming some basic chords, and then the guitar goes back in its case (or display case) for a few more months. Even if you’re one who rarely plays your guitar, strings naturally begin to oxidize over time–they don’t last forever. You play your guitar a few days a week for only about 15 – 30 minutes at a time, and you’re not very consistent. Perhaps you enjoy playing, but it’s just not a big priority for you. Or, maybe you’re a new guitarist still building your calluses and hand strength, so you can’t yet practice very often or for very long. 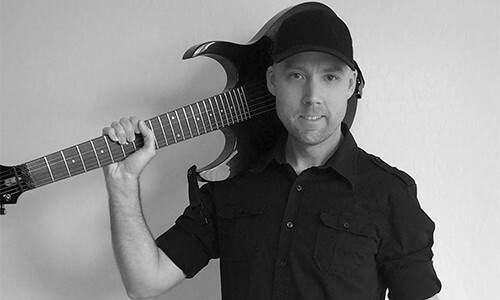 You’re fairly serious and play your guitar consistently 6 – 7 days a week for 30 minutes to 2 hours at a time. FYI, this is the category I fall into. You’re someone who’s playing 6 – 7 days a week for anywhere from 2 – 4 hours at a time. Maybe you’re a music student, or in a band that plays the odd gig here and there. Or, maybe you just really, really love playing guitar and make time to indulge your passion. You play guitar for a living, and your guitar is in your hands every day. At any given time you might be rehearsing with your band, recording, giving guitar lessons, or playing a live show (sometimes all in the same day). You eat, sleep, and breathe guitar. How long any given set of guitar strings will last before you need to change them isn’t an exact science. Your mileage may vary from the timeframes I gave above, but if you’re a beginner and aren’t sure when to change your strings, this’ll give you something to go by until you can judge for yourself just based on how the strings feel and sound. Washing your hands before you play may not always be feasible, but if you’re like me and play your guitar at home 99% of the time, definitely give your hands a quick wash before you play. 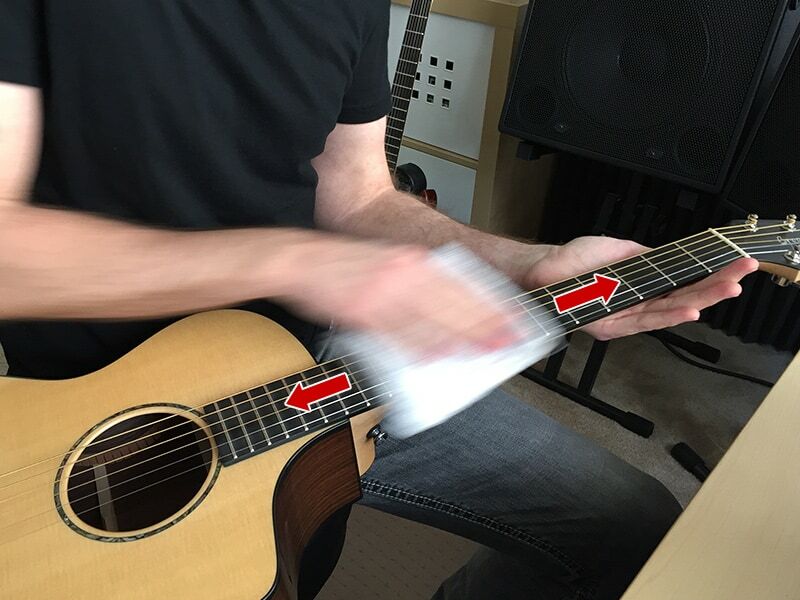 When you’re done playing, give the guitar strings a quick wipe with a clean, soft cloth. Using a string cleaner or a little bit of mineral oil is optional. You can see my demonstration of how to wipe guitar strings here. Ask 10 different guitar players when you should change your strings and you’ll get 10 slightly different answers. There’s a bit of personal preference involved in this, and as you gain experience you’ll start to recognize when your strings are wearing out and need to be changed. How often do you change your guitar strings? Let me know in the “Leave a Reply” section down below. I find these posts fascinating. 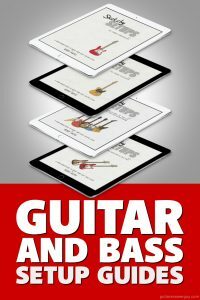 I fall between the Learner and the Avid Hobbyist, and was recommended when I began learning to use FastFret on my strings regularly. I’m almost ashamed to say that I had the same strings on my acoustic guitar for nearly three years, until I realised and had them changed (oops!) I still use FastFret regularly and always wash my hands before I play or have my lessons, which is probably why my first set of strings lasted so long! I have now marked it on my calendar when I should change my strings again. Wow! Although, yours wouldn’t be the first guitar I’ve seen that’s had the same strings on for years. Did you happen to notice any ill effects… such as the guitar not staying in tune, or perhaps the notes sounding out of tune (despite the guitar being IN tune)? Even if the strings stay relatively clean and smooth over all that time, tuning stability is usually what starts to become a problem. Then again, there are always a few exceptions! I’m with Karl. I mostly play archtops with flatwound strings which NEVER sound jangly, so I change my strings infrequently despite a lot of playing. I don’t know how many of your readers use flat wound strings (probably not very many), but I do. I play the guitar for 3-4 hours every day and I find that I am able to go for one whole year between string changes, so I guess that every case is, indeed, unique. Appreciate your advice and tips a great deal! I like the stuff you write about. I’m in the same category you are in, to me the sound and feel are most important to me. It’s also important to learn how to change them , that may be another topic later on ( if you haven’t already covered that one ). Doug, thanks for the feedback. 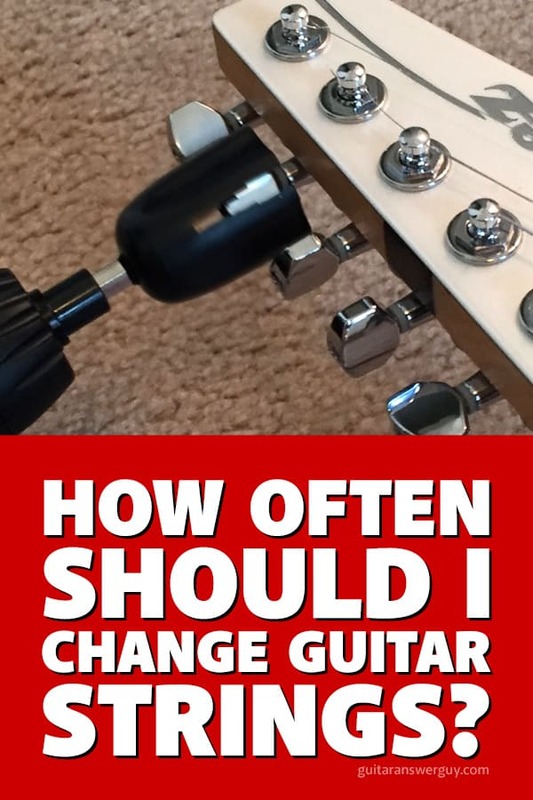 I’ve considered writing a how-to article on changing strings, but there seem to already be a lot of good ones out there. However, I’m starting to realize that people still want to know MY opinion and advice on such things, so I’ll put string changing into my queue of future topics. That’s a really good point. I remember thinking for months, that changing guitar strings was some kind of witchcraft. Watched a youtube tutorial and never looked back. It’s really the bare minimum of guitar maintenance that people should learn.